Wooster has produced many paleontologists over the last century. I’m not sure exactly why we’ve had such an abundance of people who chose to devote their lives to the study ancient life, but I am most grateful to the tradition. 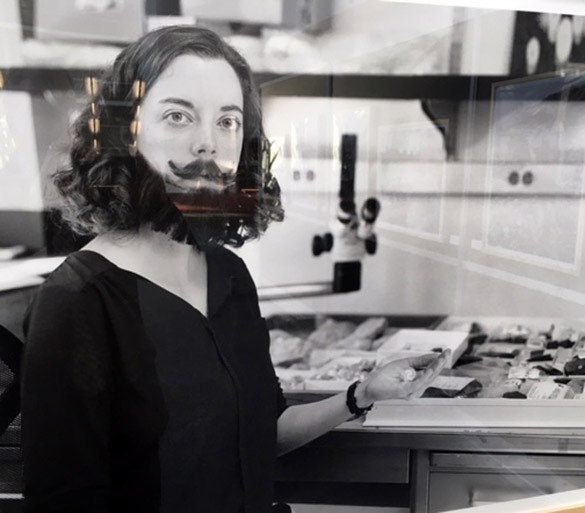 Women have been prominent among the Wooster paleontology cadre. There is currently a developing project celebrating the accomplishments of women working in paleontology and “challenging the face of science”. 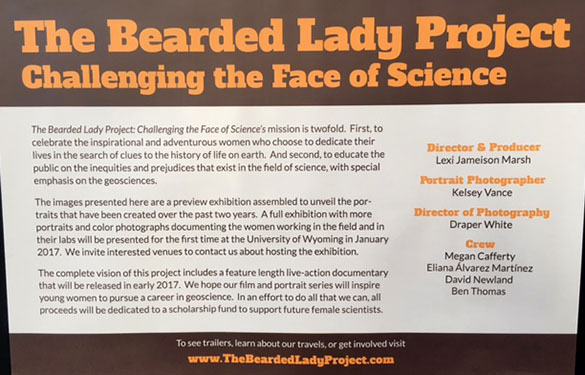 It is called The Bearded Lady Project. 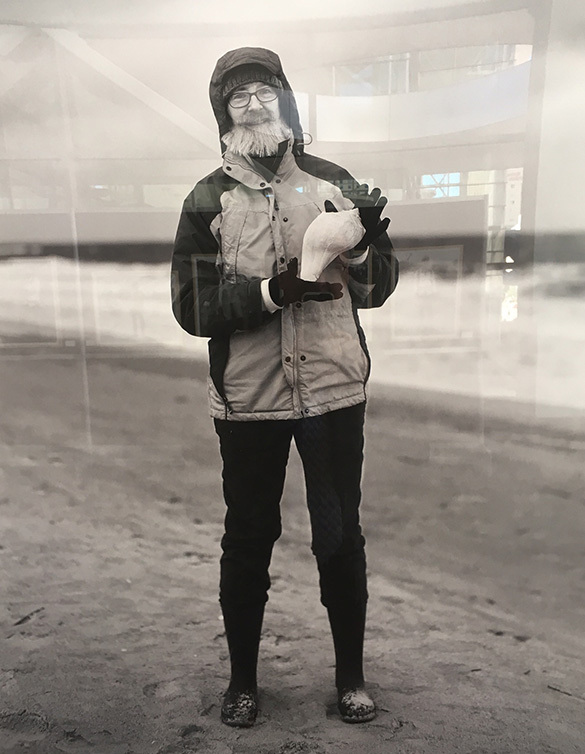 Two of our alumnae are featured in a photographic exhibit about the project at the Geological Society of America meeting in Denver this week. Erica Clites was one of my students. She is presently a Museum Scientist at the University of California Museum of Paleontology in Berkeley. I do recognize her! We have other accomplished women paleontologists from Wooster — and other geologists. Tricia and Erica represent them well. We are very proud!